Pay over 3 months You can pay over 3 months. After paying first installment of 25% your painting is reserved. You can pay the next 3 installments of 25% over the next 3 months. After receiving the full amount I will ship the painting to you. 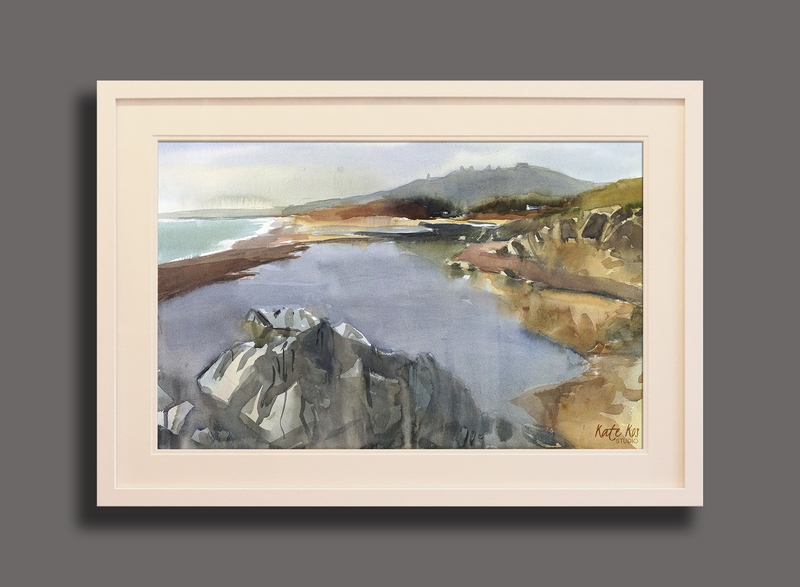 Original watercolour seascape painting with Tara Hill in the background. 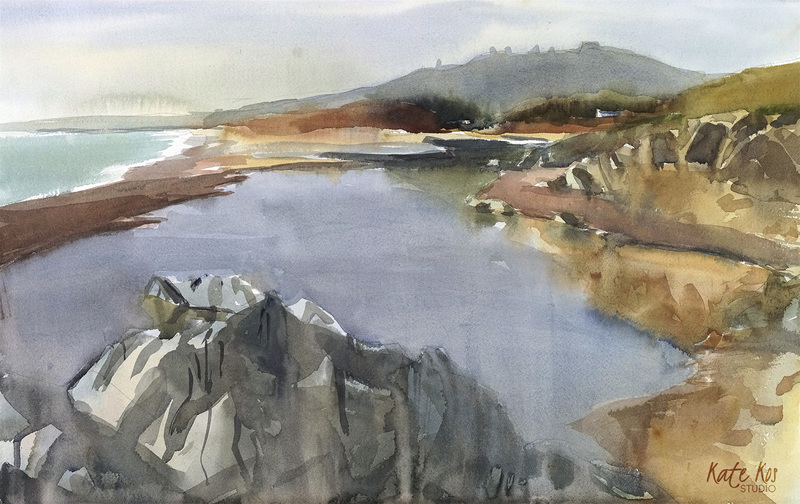 Painted plein air at Clone Beach, co. Wexford. If you would like to ask me a question about this painting, comment or make me an offer please use the form below. 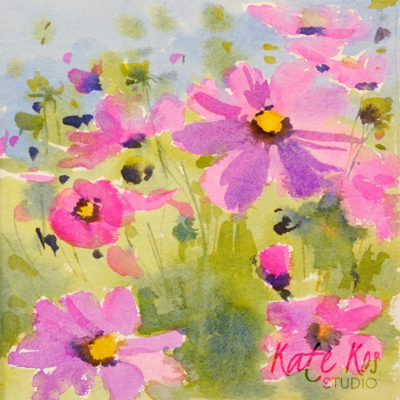 FREE delivery on all original paintings bought through katekos.com website. Paintings will be framed in acrylic glass for safe shipping, securely wrapped and delivered to you (anywhere in the world) without extra charge. I want you to get your painting as quickly as possible, so I send out the painting next day after your purchase, this mean that if you are in Ireland you will receive your painting within 3 working days. International delivery differs from 5-10 working days. I want you to be happy with your painting, so if for any reason you don’t like it, you can return it back to me within 7 days from the date you received it and I will refund full amount minus PayPal fee. This time you will be responsible for delivery charges so pick your painting wisely. If the painting was damaged during transit I will cover all return costs. I offer simple white box frame with acrylic glass for all original watercolours and canvas floater frame for acrylic paintings. If you are interested in different frame please let me know, and I can have that arranged for you for an additional fee.